Was able to get this in time for Xmas - thank you!! 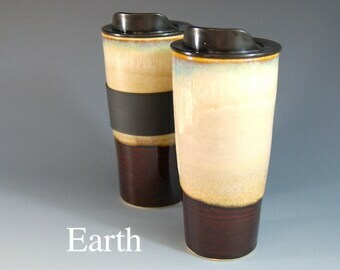 The glazes are gorgeous, and it keeps the coffee warm for the drive to work! Life on our four-acre farm provides plenty of inspiration for the ceramic pieces that we create.